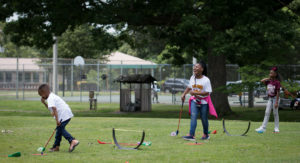 Students from five different Shelby County Schools have spent weeks learning the game of golf. Memphis Athletic Ministries rewarded 25 of those students with the chance to put their new skills to the test. Fourth graders from Idlewild, Bethel Grove, Goodlett, Richland, and Lowrance participated in the program. Instructors said it’s an nontraditional way to learn life skills. The Rotary Club helped finance the program, which will be offered at the same five schools next year.